My father, Amos Okunlola Alao, was a pastor with the Christ Apostolic Church for over 50 years and I was a chorister in the church for about 18 years. 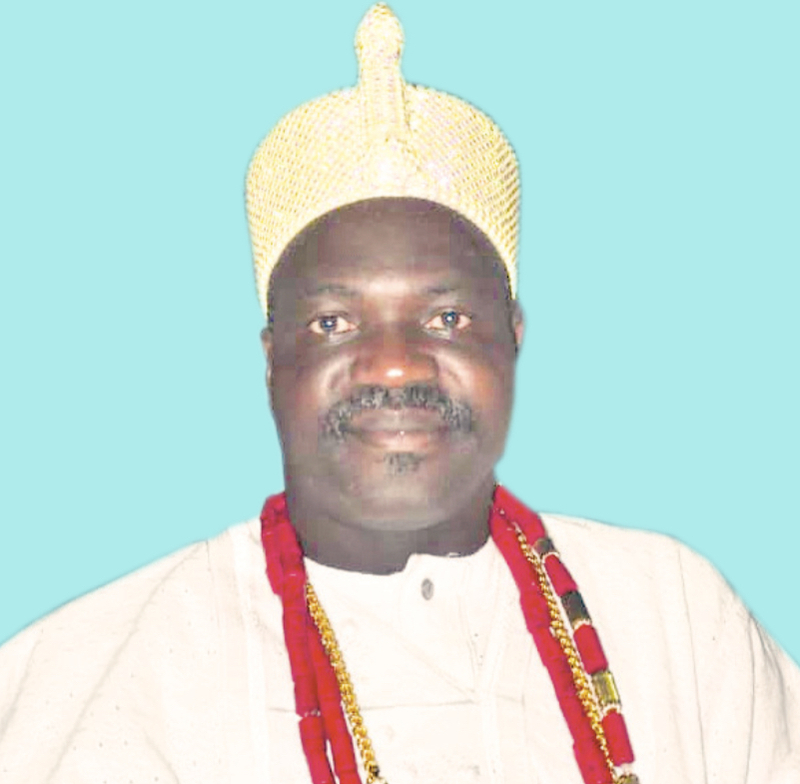 The Olugbon of Orile Igbon, Oyo State, Oba Francis Olusola Alao is a first class king in Oyo state. The businessman who got installed a year ago, was one of the Nigerians who graced the Africa Fashion Week London (AFWL) The monarch, whose traditional outfit was much admired by foreigners at the show, also took pictures and selfies with his admirers on their requests. He also spoke with Saturday Sun afterwards. You have witnessed the first and second day of the show, what is your perception? The show has to do with Africa culture, what African stuffs are made of. Most of the fabrics shown on runway are all African stuffs. For me, its African stuffs coming into limelight to meet the modern day demand. Normally, in fashion shows European things are dominant in terms of shoes, shirts and all that. I’m proud to be part of the show. The federal and state should get involved in shows like this because there’s huge economic hub in fashion. Look at Gucci, Versace, etc. the government should encourage the private sector. By the next fashion show, I expect at least a minister, commissioner, or a state governor in Nigeria to be present and tap into it and turn into commercial. Let’s come back to you as the Olugbon of Orile Igbon in Oyo State. What is it like being a king? I have been on the throne for just a year now. July 15th 20018 made me exactly one year on the throne. I have been a very good businessman prior to being a king and since I ascended the throne, I have been trying to build a beautiful palace siting on about eight hectares of land, one segment of the construction is almost completed now and I have about eight segments to do. Again I have been working with all my community heads to see how we can woo investors because my domain in Ogbomosho has the best cashew producing zone, not just in the whole of Nigeria but in the whole world. So I now look at it that those cashews are wasting with no processing factory available in the domain. And these are things that turn the community to an economy hub. So I have been interacting with the state governor, Abiola Ajimobi. He is very proactive and he is making some effects to ensure something is done. So I have been working in synergy with both my local and state government in order to turn my place to an economic hub. What was your upbringing like and did you ever envisage becoming a king while growing up? Envisage? In fact it so funny, my father, Amos Okunlola Alao, was a pastor with the Christ Apostolic Church for over 50 years and I was a chorister in the church for about 18 years. And when I was called upon by my family members that the wanted me to come and be a king, that my family was eligible. I said okay. I then called my wife who happens to be a pastor at the Redeemed Christian Church of God and we prayed about it and then God took over the whole thing. So to me, kingship is a calling to serve my people, just as in the way a pastor has a calling. But the calling of a king is a lifetime task to serve the people. And God has been helping me since I came on the throne. So being a king does not mean you are fetish. We that are children of God cannot leave the kingship of our land because we feel it is fetish or because it is culture and tradition, it has to do with people in darkness. No. Being a traditional ruler does not mean you are in the darkness. The only thing is that there are certain things they do in terms of preserving the culture and tradition which has become a myth. For me, coming to become a king , I see it as a call to serve my people. People should begin to look at kingship as a calling to serve the people. A pastor has a calling. I, as a king, I have a calling to serve my people. Our governor has a calling but the calling of a king is a lifetime thing. A king should come out with programmes in synergy with states and governments to develop the mindset of your people. So, that is the mindset of calling I see Oba has. By special grace of God, God has been helping me since I came on the throne. Normally, there are issues to sort out when you ascend the throne and there are challenges. All that is normal. This is simply because you contested the position alongside with other people, but those challenges I see them as one of those things. I have moved over all that and I have been doing the right thing to make sure the zone is lifted up. I believe whatever I am today, it takes the grace of God, and whatever I will be tomorrow , only the grace of God will make me be. I rely on God for sustenance and God Almighty has been helping me. What business were you doing before you became an Oba? I was a contractor with the military. I have been into telecom infrastructure and I have been exposed to a lot of things in terms of my business. I also own a dredging firm . We dredge sand for construction company, in Ajah. I have been successful as a businessman. I’m also into properties. God almighty has blessed me and I give God all the glory. My Christianity life is still intact. I pray almighty God to give me long life, and peace of mind . If God gives me long life and peace of mind, some of the legacy that I would want to leave behind is to first of all preserve our culture and tradition. Secondly, I want to make sure that God should give me the grace to let people see Obaship as a calling and not something to be fetish. The world is not static. The world is moving day by day, everybody should see that you are to serve your people and at the same time to preserve our culture and tradition. If I could leave that wonderful legacy, I should be happy. But I believe by the grace of God, I will live long on the throne in good health and sound mind. My domain, will develop, Oyo state will develop, Nigeria will develop and we will co-exist peacefully in Nigeria. How did your wife who is a Pentecostal pastor took the news of your call as Oba, because its difficult to balance Christianity and traditional stuffs? When we discussed, she said she would pray over it. She prayed over it and almighty God was on our side. I consulted my pastors too and I prayed to God that if it is HIS will that I become a king , let your will be perfected. I left everything in the hand of God. God name is very paramount to me in life. I believe almighty has the final say in whatever one does and God has been sustaining me. As Oba what is your kind of style in terms of dressing? I dress simple. Sometimes, I wear the normal Oyo traditional ‘Danshiki’ in Aso Oke. I usually wear white. Prior to my position, I have been a lover of white colour. Probably, if I would go for another colour I would go for sky blue or brown but majority of my clothes are whites. I relax with my family. At times, I traveled out of Nigeria with my wife and we spend good time together. In my vicinity as Oba, there are many nice serene places. I just sit down and relax myself, trying to refresh my mind and see what God could inspire me to do for the future. What lesson would you say life has taught you as a person? Honestly, that’s very important. If you believe in God, if you trust in God, all things are possible for you. Even when things look rough, God will always come to your rescue. I’m always a lover and believer of almighty God in whatever I do. God has sustained me till this moment. I only live by the grace of God. Through gods grace I will achieve greater things in life. APC defeats PDP in Ekiti South, North senatorial districts.